Enjoy the top 19 famous quotes, sayings and quotations by Grace Helbig. A lot of YouTubers, because they have such pride in what they do, have a negative connotation towards television. I don't feel that way. I feel like it's another medium to reach a broader audience. It's insanely difficult to ask an audience to go somewhere other than YouTube to watch videos. 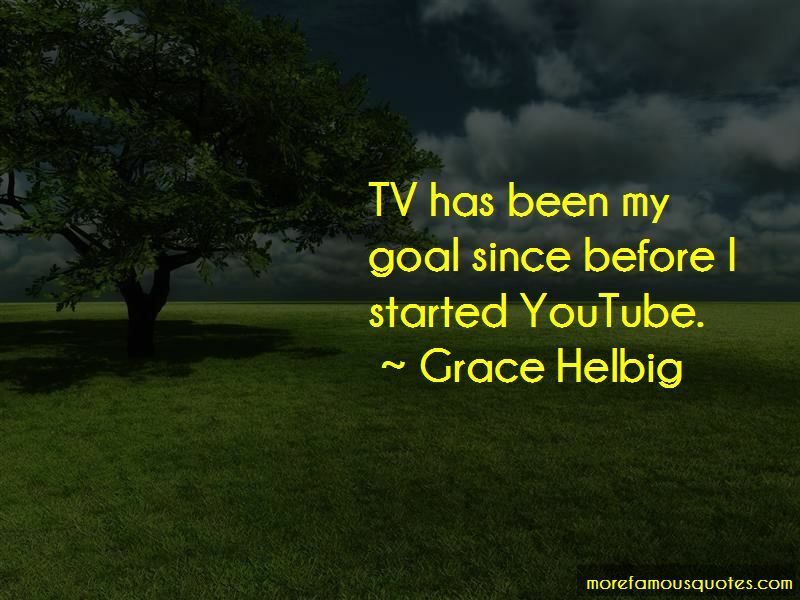 Want to see more pictures of Grace Helbig quotes? 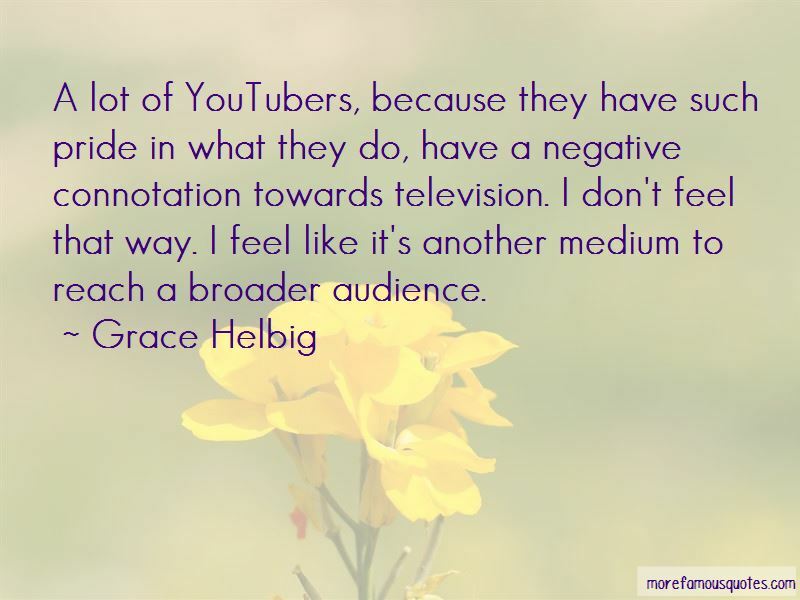 Click on image of Grace Helbig quotes to view full size.